Small place, it's clean, friendly staff, it's very quiet around.. They have such nice food and it's not expensive. All together it's just great for that value. Its an Hostel, so shared bathroom. Rooms are heated and more than enough to rest! For the price, it was a perfect place to stay. With the car, it was 30 minutes away from Barcelona. Room was clean and so were the showers and bathrooms. Everything was excellent! The owners and staff were incredible nice and helpful. We found the hotel and restaurant really clean and tidy. The food was deliciuos. We felt like at home. Thank You very much! Great stay and very friendly staff and very delicious food. Featuring free Wi-Fi access, Pensión Galicia is located in Canovelles, 1.2 mi from Granollers’ historic center. The guest house offers a restaurant specialized in traditional Galician cuisine. Each heated room includes a TV and either a private bathroom or access to a shared bathroom,. Towels and bed linen are provided. The á la carte restaurant also offers a daily set menu. Breakfast is available under request. A bus stop with connection to Granolles’ center can be found 300 feet from the guest house. Barcelona is 17 mi away. This property also has one of the top-rated locations in Canovellas! Guests are happier about it compared to other properties in the area. 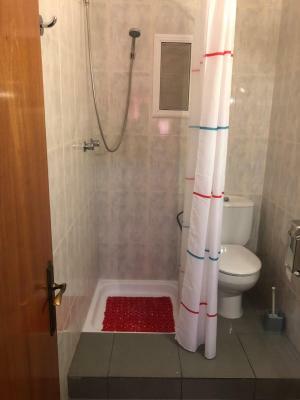 This property is also rated for the best value in Canovellas! Guests are getting more for their money when compared to other properties in this city. When would you like to stay at Pensión Galicia? Featuring free Wi-Fi, this heated room includes a TV and a private bathroom with a shower. Featuring free Wi-Fi, this heated room includes a TV and access to a shared bathroom. House Rules Pensión Galicia takes special requests – add in the next step! Pensión Galicia accepts these cards and reserves the right to temporarily hold an amount prior to arrival. Please note that heating is available at certain fixed times of the day, from 19:00 to 08:00. Went down for breakfast first morning, was not offered menu, yet Spanish gent was. All but one staff spoke no English. Toilets and showers tiny. No hot water in communal washbasins. No mirror in room. My room was left unlocked all day by cleaner. No one on duty of morning of departure. Two ladies left around six thirty. I had to leave at seven thirty, was leaving just as lady arrived. She had not a word of English, so how do people go about paying. I tried to pay by card, but the lady did not know how to use it. I am sure I paid most of my bill, and will pay remainder after checking with bank. Properties like these should be vetted. I booked this place two years ago, they accepted booking but were closed when I got there as it was their normal closing day. I was not told this, then they chased me for a "no show". Nobody met us at all. When we came everything was just closed. We arrived at 22-00, but they say they work till 23-00. We had to call the number from the table on the wall. When we finally got an answer, we'd found out that the person didn't speak English. Fortunately, there was a passer by who spoke English, he helped us. We had been waiting almost 20 or even 30 minutes while the person came to us and gave us the keys. He gave us wifi information and disappeared. Wifi password didn't work, we decided to try their phone number as a pw and it did help. So if you are looking for a place to spend a night it will match you, but be ready that you might have to wait for the personal for a long time. The location is good when you travel by car, there is a free parking just around the corner. The room was ok.